Born in Batley, West Yorkshire, Michael Wilson studied German at Liverpool University (BA), and then the Theological Tripos at Fitzwilliam College, Cambridge (BA, MA), and completed his theological studies at Westcott House, Cambridge, while later gaining at MBA from De Montfort University. His first Church appointment was as Assistant Curate at Worksop Priory (1969-71) and Assistant Curate at Great Malvern Priory (1971-75). 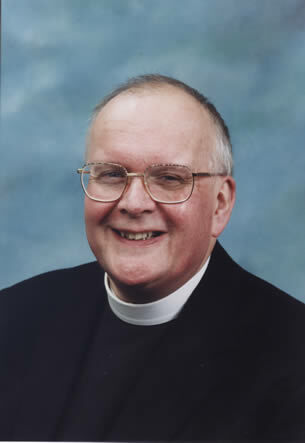 He came to Leicester as Vicar of St Anne’s in 1975, serving in that office to 1985, when he became Team Rector (1985-88). From 1988 to 2009 he was Residentiary Canon Treasurer of Leicester Cathedral. Other Church and public positions serving as Proctor in Convocation from 1980-95, Chair, Leicester Board of Mission and Society Responsibility, and as Chairman of the Gateway College FE Board. Canon Wilson joined Lit. & Phil. in1986, and served on Council for more than a decade including his year as President, retiring from Council in 2010. Presidential Address: The Making of a Cathedral. Trans. LLPS vol. 96 (2002), pp. 2 – 4.